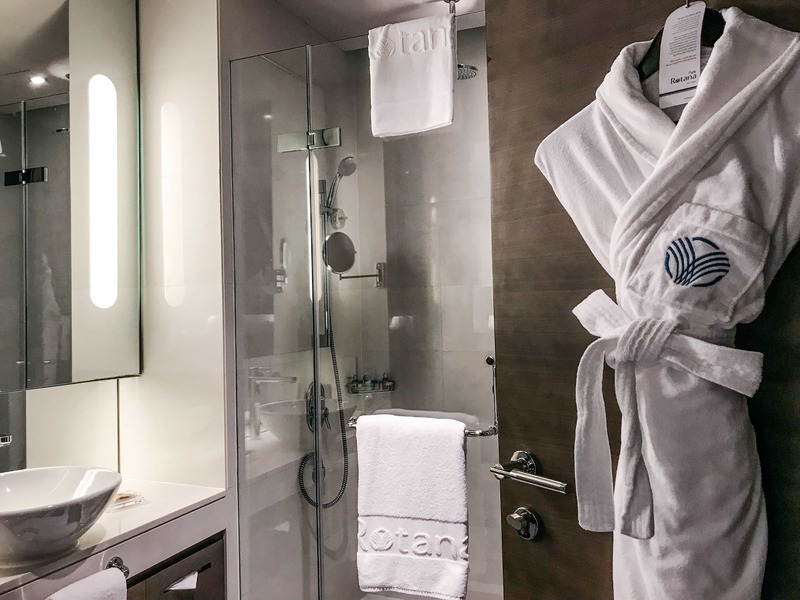 After an amazing stay at Centro Barsha in Dubai and ART Rotana in Bahrain, I knew that I wanted to continue experiencing the Rotana Hotels whenever I could. 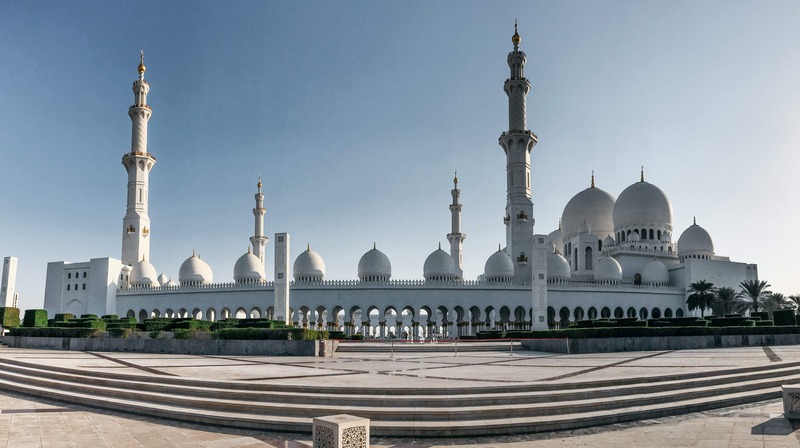 When planning our visit to Abu Dhabi, I knew that I wanted to stay close to the Sheikh Zayed Mosque — not only is it the largest Mosque in the country, but a place that I’ve wanted to visit for the last seven years (when I first began traveling!). 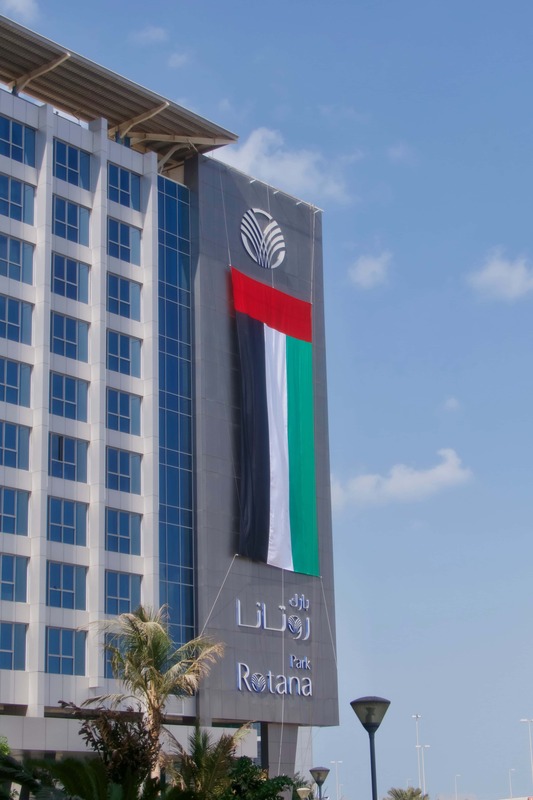 With 15 Rotana hotels in Abu Dhabi, I knew that there had to be a one near such a well-known landmark – and there was! 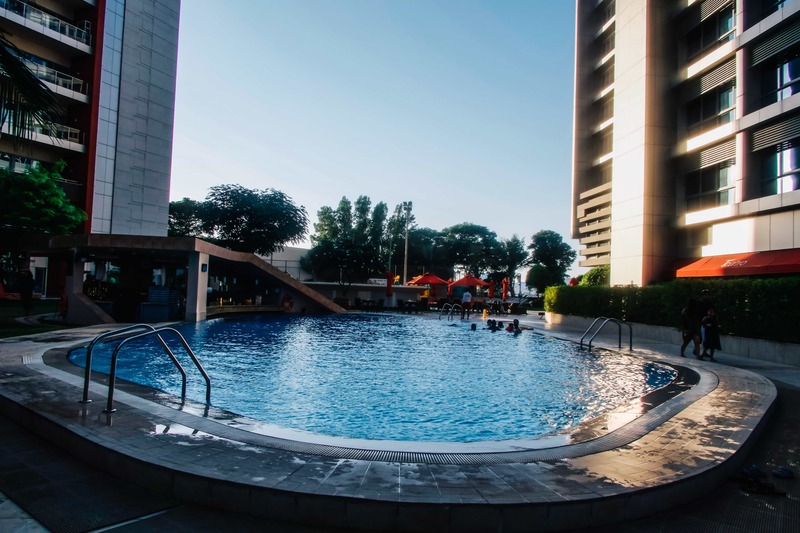 I loved knowing that after an amazing 4 days in Oman, we were to arrive at Park Rotana, a 5 Star Hotel just five minutes away from the Sheikh Zayed Mosque and fifteen minutes from the International Airport and Yas Island. Arriving at Park Rotana was as easy as could be, and there are numerous taxis in the area. We were greeted with smiles, and offered tea and dates (which is common hospitality in the UAE) as we were guided to the check-in counter. 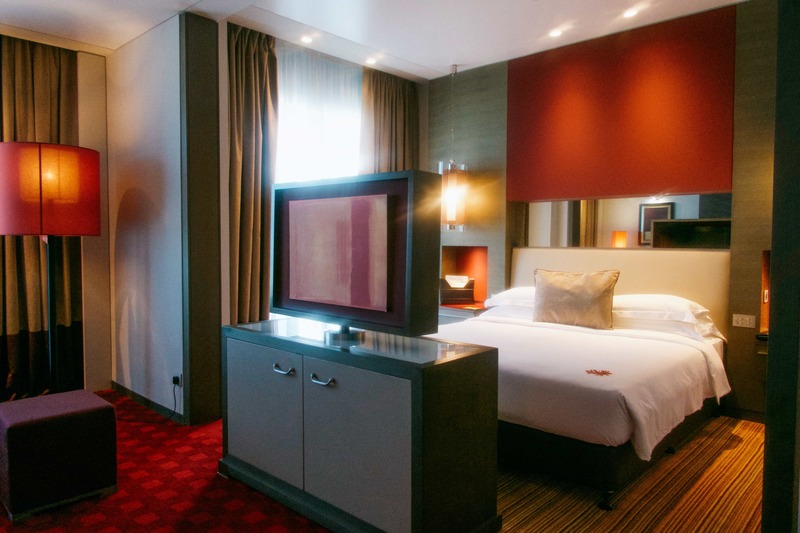 With a quick check-in, we were escorted to our Classic Suite facing the Sheikh Zayed Bridge. Our 49 sq m room had a separate King-sized bedroom and living area – including a sofa and work desk – and was absolutely lovely! It was homey and spacious, which was exactly what we needed for our final weekend in the UAE. 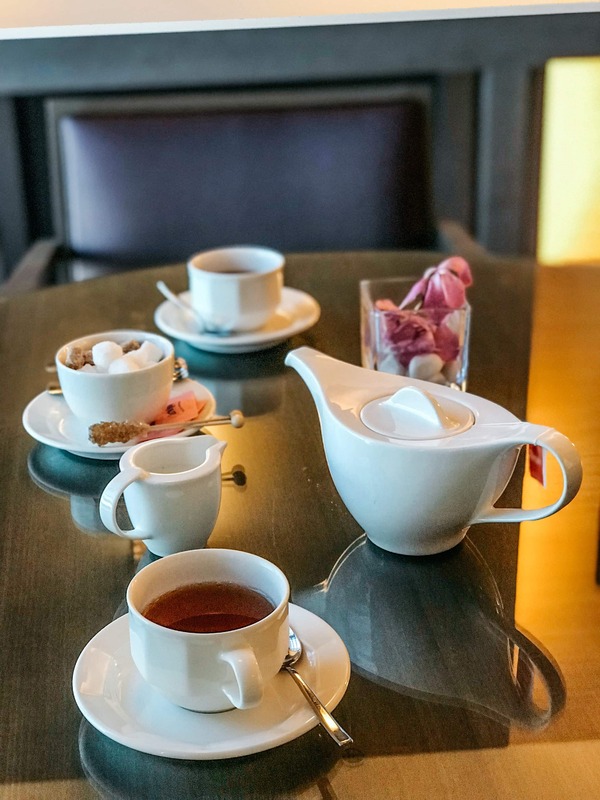 After settling in, we went to the Club Rotana lounge for afternoon tea and snacks. The lounge was of fantastic quality, just as with each Rotana Hotel we visited. 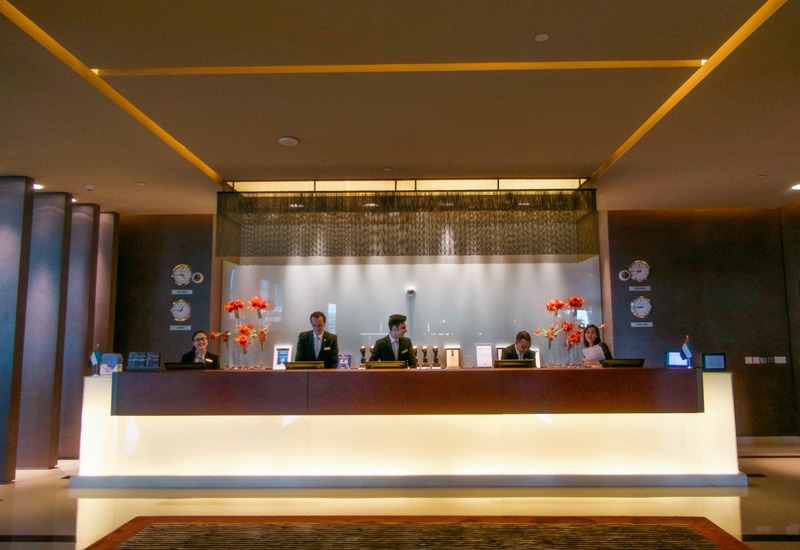 The staff was full of smiles and remembered our names daily from the moment we first stepped into the room. With an array of coffees, teas, cakes, and savory snacks, we were always more than satisfied. 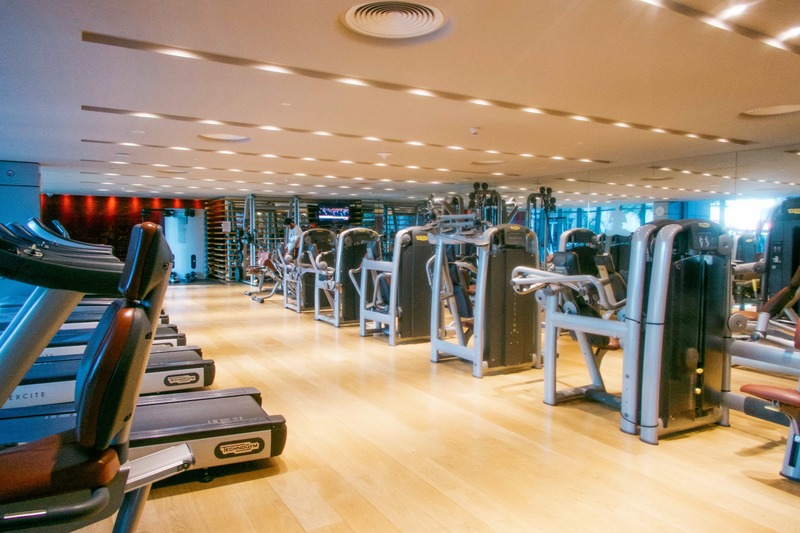 With an afternoon to ourselves, we wandered the premises of Park Rotana by checking out their beautiful gym, pool, and spa before checking out Khalifa Park. 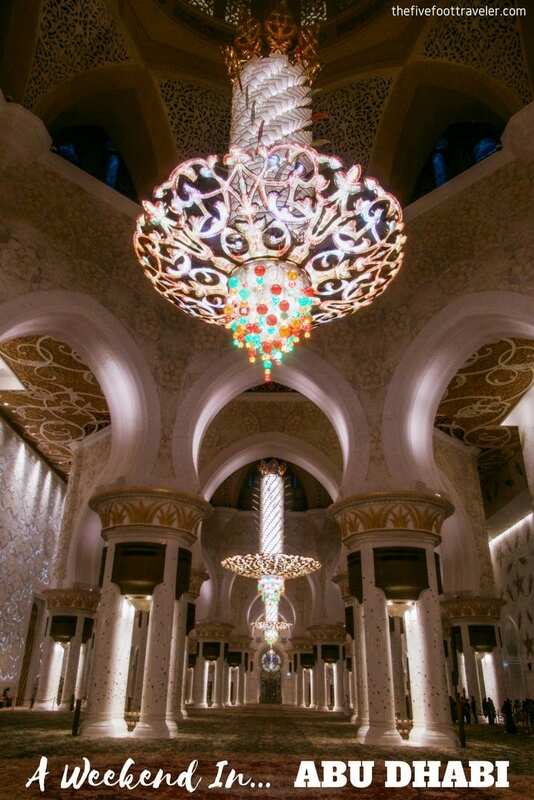 That evening, we went to the Sheikh Zayed Mosque at sunset – it’s said to be one of the best times to visit! So, we had the opportunity to view the mosque in daylight, at dusk, and at night; we were also there for both the afternoon and evening prayer, which made the experience extremely special. There are also complimentary guided tours at 10am, 11am, and 5pm (Sun-Thurs), at 5pm and 7pm (Fri), and 10am, 11am, 2pm, 5pm, and 7pm (Sat). 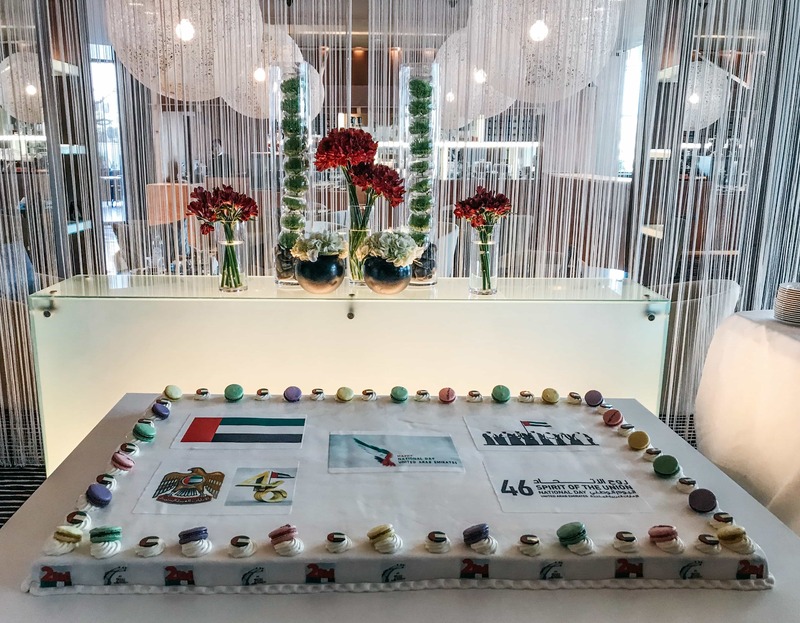 We were up early the next day to celebrate the 46th National Day at Park Rotana! 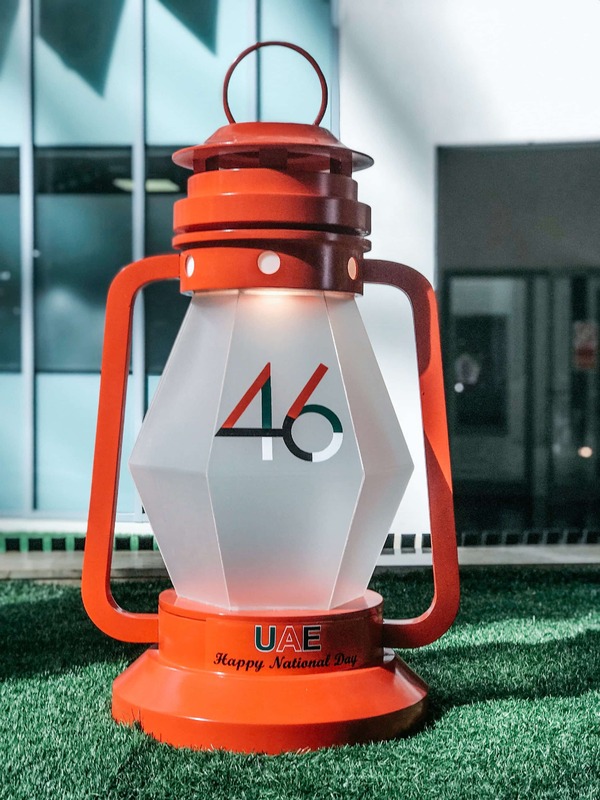 National Day is celebrated each year on December 2nd and it signifies the anniversary of the federal unification of the seven Emirates in 1971. 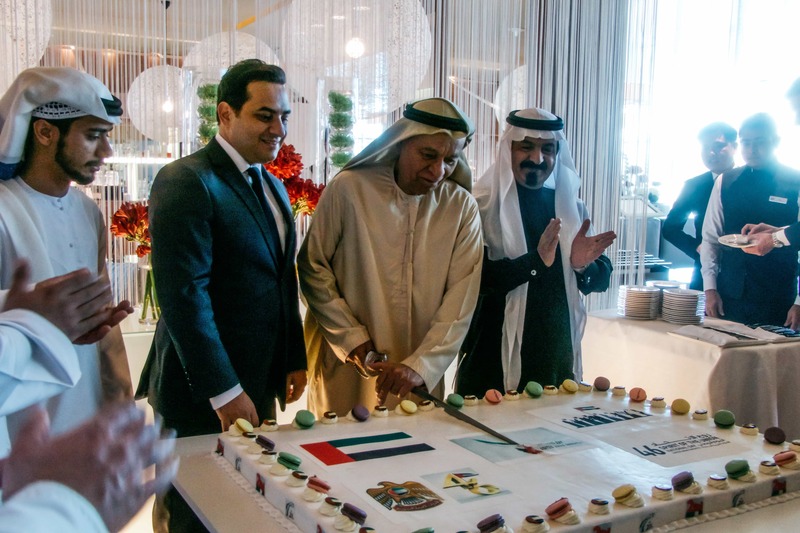 Grand celebrations take place all over the United Arab Emirates for the occasion — there were fireworks all over Abu Dhabi, and a beautiful cake-cutting ceremony that we participated in at Park Rotana! 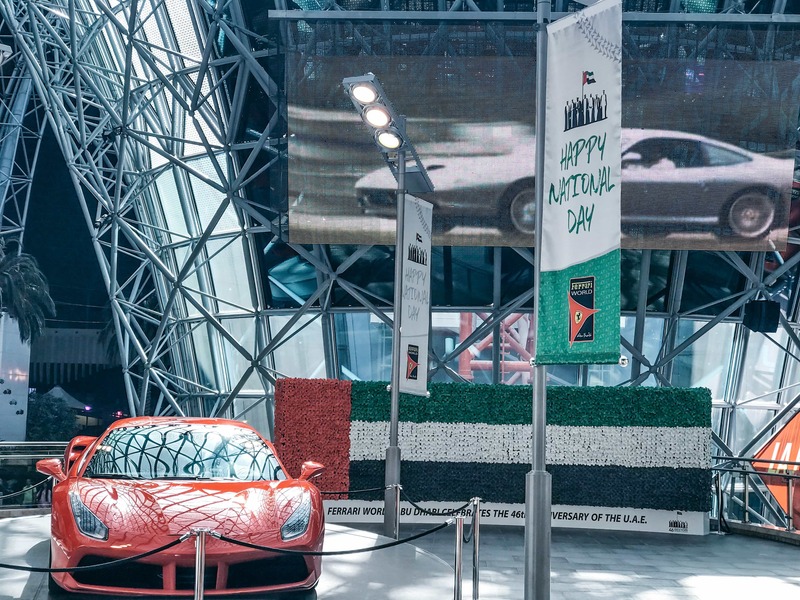 I believe it’s important to get involved with as many cultural experiences available to me while I travel, so it was a lovely surprise to find out that we were visiting Abu Dhabi on National Day! Following the cake-cutting ceremony, we set off for Ferrari World. 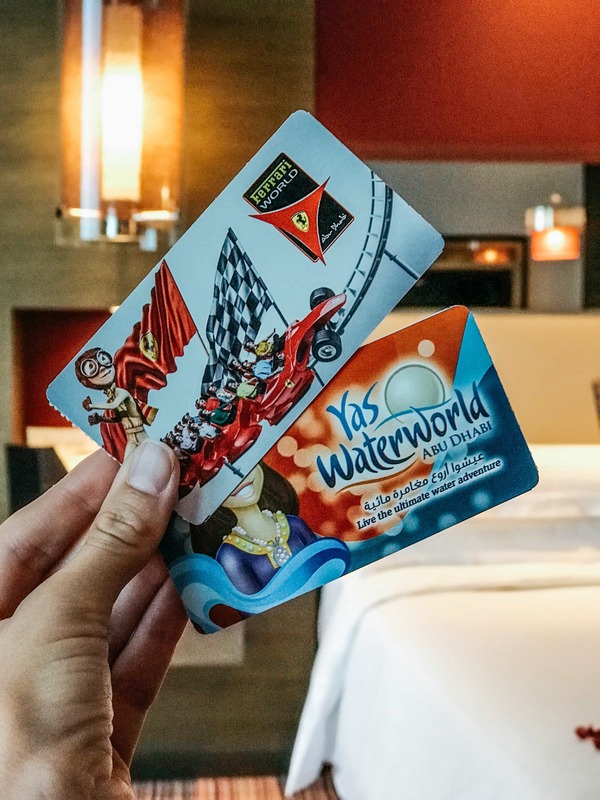 The Rotana Hotels in Abu Dhabi encourage their guests to get out and explore all that the city has to offer — even the “fun stuff!” Located on Yas Island, just 15-minutes from Park Rotana, you will find Ferrari World and Yas Waterworld. Your best bet is to purchase the 2-Park Pass, and be sure that you reserve your ticket online in advance because they’re likely to sell out! 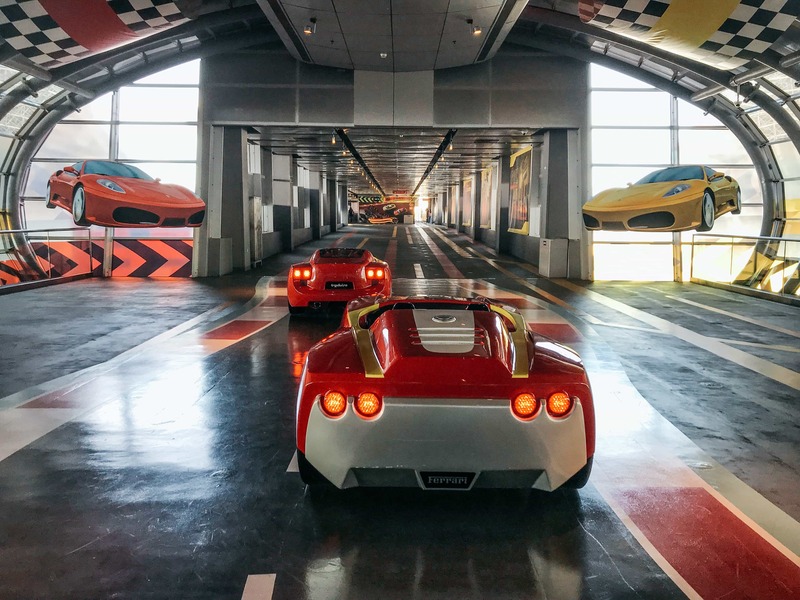 Formula Rossa: The world’s fastest roller coaster – prepare to be blasted from 0 to 240 km/hr in 4.9 seconds! With protective eyewear on, this roller coaster is bound to leave you shaking. Plus, it’s pretty cool that the roller coaster cars are meant to resemble the Ferrari Formula One car! Flying Aces: Ready to go upside-down? Flying Aces left us with tears streaming down our faces — from excitement, fear, and pure adrenaline. This is the world’s highest roller coaster loop and hits speeds of 120 km/hr. 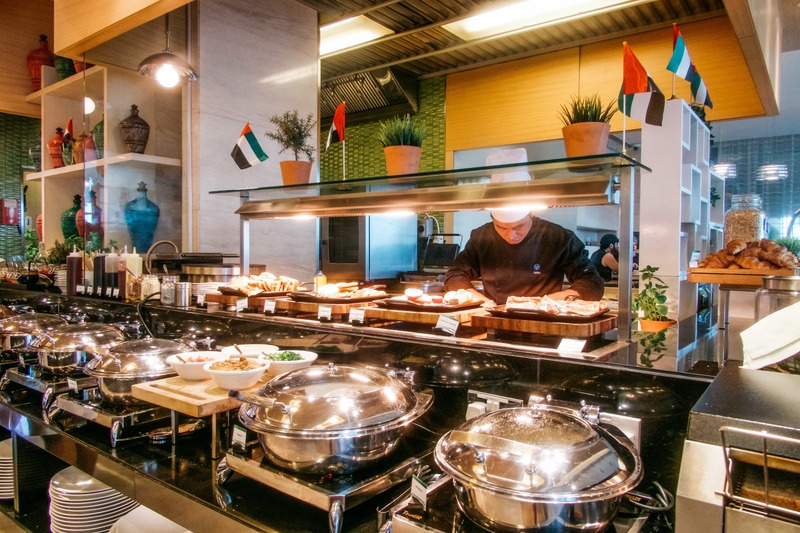 After an exhausting day, we slept beautifully back at the Park Rotana and woke up to yet another delicious buffet breakfast at their all-day dining Ginger restaurant. Anything you might be craving for breakfast, you’d definitely find there — including a variety of amazing fresh squeezed juices. We took a walk around Khalifa Park, and took in the views of the Sheikh Zayed Mosque from the hotel property, before catching a ride back to Dubai for our final night in the UAE. 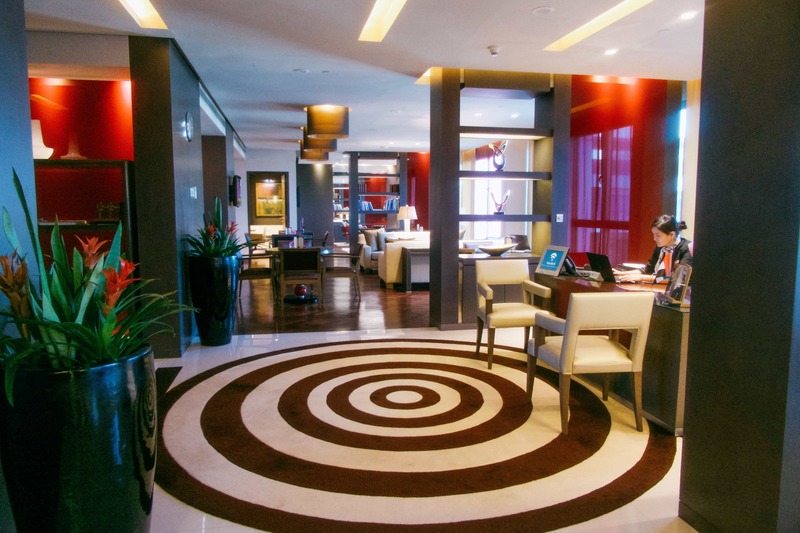 I absolutely cannot wait to return to Abu Dhabi and continue experiencing the Rotana Hotels firsthand.